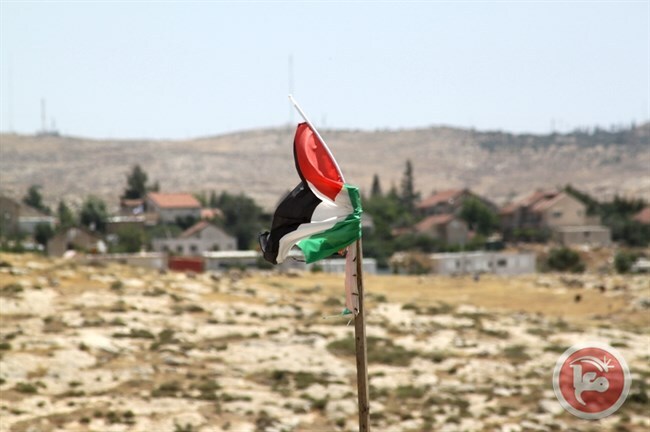 BETHLEHEM (Ma’an) — A majority of Palestinians now oppose a two-state solution to the conflict with Israel, with only a third believing it is still a practical possibility, a poll released Monday found. The poll, conducted by the Palestinian Center for Policy and Research, found that 51 percent of Palestinians now oppose a two-state solution — up from 48 percent in June — while 48 percent still support it. Moreover, 65 percent of Palestinians said that they no longer believe a two-state solution is a practical possibility due to the expansion of illegal Israeli settlements across the occupied Palestinian territory. The poll found that only 32 percent of Palestinians believe an independent Palestinian state can still be achieved. The research center questioned 1,270 adults in face-to-face interviews for the poll, which it said had a margin of error of 3 percent. It found that an overwhelming 85 percent of Palestinians believe Israel’s long-term aspiration is “to annex the lands occupied in 1967 and expel their population or deny them their rights,” with only 15 percent believing that Israel intends to withdraw from the occupied territory. Meanwhile, support for armed resistance to Israel rose among Palestinians from 36 percent three months ago to 42 percent now, with a startling 57 percent now supporting a return to an armed intifada, or uprising. A majority of 51 percent also support the dissolution of the Palestinian Authority, the poll found. Over 60 percent of the land area of occupied East Jerusalem and the West Bank is controlled by Israeli forces and is home to over half a million Israelis living in Jewish-only settlements deemed illegal under international law. In spite of this, Palestinian President Mahmoud Abbas said in the lead-up to Israeli elections that Palestinian leadership would embark on renewed negotiations with any Israeli government that supported the two-state solution. Israeli Prime Minister Benjanmin Netanyahu unequivocally ruled out the possibility for an independent Palestinian state during his election campaign, in a statement he later back-peddled on following international criticism. The majority of the government he later pieced together publicly opposes the establishment of an independent continuous Palestinian state. The Palestinian leadership has said repeatedly that the continued expansion of settlements throughout the occupied Palestinian territory is making the option of a two-state solution championed in past peace negotiations nearly impossible. In July, the European Union Council noted that “facts on the ground” were rapidly eroding the viability of a two-state solution.